Are you considering a career move? Or are you an employer or agency looking to fill a position? The IACCM Jobs Board offers a fast, efficient and effective way of finding the latest commercial contracting jobs and candidates seeking employment, from around the world. A free service to all IACCM members. Register now! 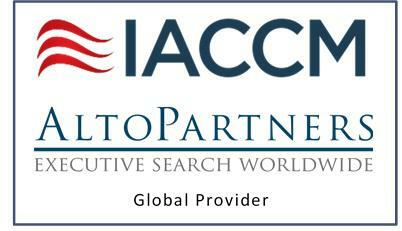 AltoPartners, the international alliance of independently owned retained executive search and leadership consulting firms, is collaborating with IACCM and is recognized and endorsed as the Global Provider of Executive Search for the IACCM. AltoPartners supports IACCM members with leadership, senior executive and mission critical talent to achieve business excellence. To learn more, please click here. Why use the IACCM Jobs Board? By registering your CV or job opening on the IACCM Jobs Board, you are joining an active community of jobseekers and employers, with thousands of visitors each month. A free service to IACCM members, you will be able to view jobs and candidates from around the world, at all experience levels. A simple, easy to use interface makes the process of entering your requirements fast and hassle-free. We provide you with automatic recommendations based on the criteria that you select, and will send you automatic email updates showing you the latest content.